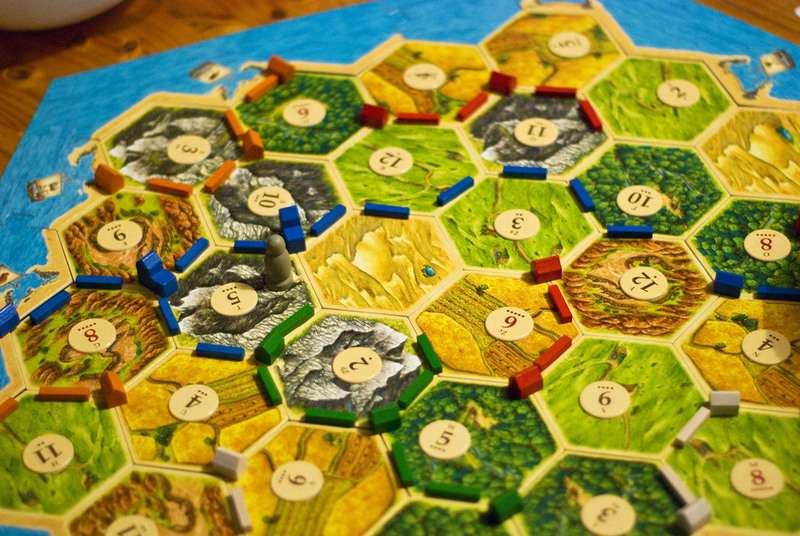 Catan, the game formerly known as "Settlers of Catan" or "What do you mean you rolled an 8 again," is the foundation of our great modern age of gaming. This incredible game asks players to gather resources, which they may use to build new settlements, cities, and roads, in order to gain victory points. First player to 10 VP wins! While I absolutely prefer the complexity of the Cities and Knights expansion, or some of the interesting scenarios in Seafarers of Catan, or maybe even the amazing rocketship-dice-rollers from Spacefarers of Catan, this is the game that started it all. Beyond giving you a strong understanding of basic probability, playing Catan will give you an introduction to the world of gaming that everyone needs to have. All roads lead to Catan!